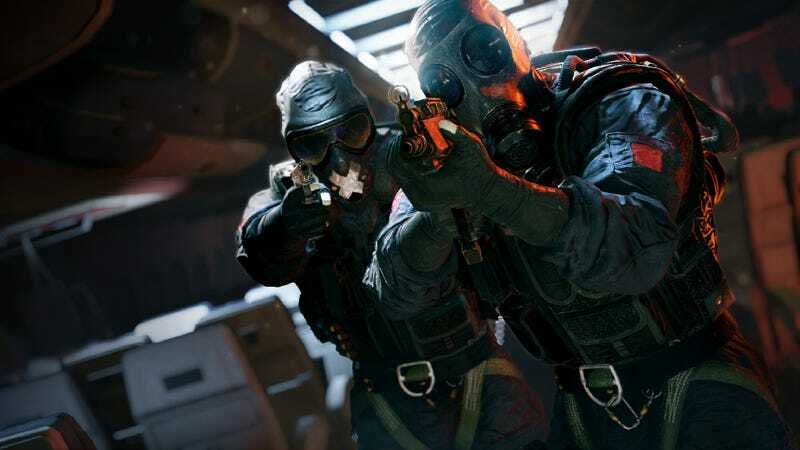 Just like in your favorite horror movie, checking the downstairs basement one-by-one in Rainbow Six: Siege isn’t a very good idea. In today’s Rainbow Six: Siege Year 2, Season 2 finals, Penta Sports was set to defend their title as Pro League champs. On the way there, in a semifinals match against Team Fontt, Penta player Niclas “Pengu” Mouritzen baited the enemy team into a game-winning trap. Mouritzen runs down into the basement, and Team Fontt follows one-by-one like lemmings after him, right into the waiting crosshairs of Mouritzen’s SMG-shotgun combo. Cleaning up four of the five members of Fontt, Mouritzen secured the round and sent Penta to the grand finals, where they 2-0'd American team Elevate to keep their title as Pro League champs. Penta Sports goes home with $75,000 in prize earnings. If you want to check out the entire finals series, the archives are available on the Rainbow Six Twitch channel.